James Joseph "Gene" Tunney (May 25, 1897 – November 7, 1978) was an American professional boxer who competed from 1915 to 1928. He held the world heavyweight title from 1926 to 1928, and the American light heavyweight title twice between 1922 and 1923. A highly technical boxer, Tunney had a five-fight rivalry with Harry Greb in which he won three, drew once, and lost once. He also knocked out Georges Carpentier and defeated Jack Dempsey twice; first in 1926 and again in 1927. Tunney's successful title defense against Dempsey remains one of the most famous bouts in boxing history and is known as The Long Count Fight. He retired undefeated as a heavyweight after his victory over Tom Heeney in 1928, after which Tunney was named Fighter of the Year by The Ring magazine. Mary Lydon from Culleen House, Gorthgarve, Kiltimagh, County Mayo, Ireland, emigrated to the United States after the Great Famine. She settled in New York City where she met John Tunney, also from Cill Aodain, Kiltimagh. They married after a short courtship. The Tunneys had seven children; one son was murdered around 1920, another was a NYPD Detective from 1924 to 1951, dying in 1971, while Gene would become famous as a World Heavyweight Boxing Champion. At an early age, Tunney was inspired by President Theodore Roosevelt to become physically fit. Tunney fought some 68 official professional fights, losing only one, to Harry Greb, while fighting as a light heavyweight. Tunney fought many other fights whose scoring was unofficial, judged by newspaper reporters. He also lost none of these "newspaper decisions." He reported that he lost a second fight during World War I, a 10-round decision, to Tommy Loughran, as a Marine before he began his professional boxing career. Tunney was regarded as an extremely skillful boxer who excelled in defense. In addition to beating Dempsey, the most famous fighter of his era, Tunney defeated Tommy Gibbons, Georges Carpentier and many other fine boxers. Already the U.S. Expeditionary Forces champion, Tunney spent the winter of 1921 as a lumberjack in northern Ontario for the J. R. Booth Company of Ottawa, without revealing he was a champion boxer. He explained this as "wanting the solitude and the strenuous labors of the woods to help condition himself for the career that appeared before him." 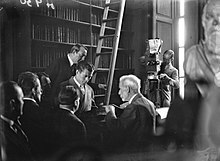 Tunney also had a brief acting career, starring in the movie The Fighting Marine in 1926. Unfortunately, no prints of this film are known to exist. He was elected as Ring Magazine's first-ever Fighter of the Year in 1928 and later elected to the World Boxing Hall of Fame in 1980, the International Boxing Hall of Fame in 1990 and the United States Marine Corps Sports Hall of Fame in 2001. In 1928, Tunney married a wealthy socialite, the former Mary "Polly" Lauder (April 24, 1907 – April 19, 2008). The couple lived in Stamford, Connecticut and had four children. Among them is John Varick Tunney (1934-2018), who was a U.S. Representative and U.S. Senator from California from 1971 until 1977. The others are Jonathan "Jay" Rowland Tunney of Stamford, Connecticut; Gene Lauder Tunney who became a lawyer and served as District Attorney for Sonoma County, California for 20 years, and Joan Tunney Wilkinson (ca. 1940-2008) of San Francisco. Joan Tunney Wilkinson was committed to McLean Hospital on June 6, 1970 after she murdered her husband, Lynn Carter Wilkinson Jr.
Mrs. Tunney was born into the Lauder Greenway Family. Her grandfather was George Lauder, a first cousin and business partner of industrialist and philanthropist Andrew Carnegie, founder and head of Carnegie Steel Company of Pittsburgh, Pennsylvania. Her father, George Lauder Jr., was a philanthropist and yachtsman whose 136-foot (41 m) schooner, the Endymion once held the record for the fastest trans-Atlantic crossing ever made. According to a 2007 biography, Tunney promised Polly that he would quit boxing and defended his title only one more time after the second Dempsey fight, against Tom Heeney of New Zealand. In 1928, the U.S. Marine Corps presented – as a sign of friendship – a challenge cup to the Corps of Royal Marines, in the hope it might be competed for by Royal Marines association football teams. The Royal Marines named the trophy the "Tunney Cup," in honor of then–USMC Captain Tunney, who, with Sergeant Major Charles R. Francis, presented the trophy on behalf of the U.S. Marine Corps. Tunney was a thinking fighter who preferred to make a boxing match into a game of chess, which was not popular during the times when such sluggers as Jack Dempsey, Harry Greb and Mickey Walker were commanding center stage. Tunney's style was influenced by other noted boxing thinkers such as James J. Corbett and Benny Leonard. Nevertheless, it is incorrect to think of Tunney as a stick-and-move fighter in the Ali style. While Tunney's heavyweight fights against Gibbons, Carpentier, and Dempsey featured his fleet-footed movement and rapid-fire jabbing, his earlier bouts, especially the five against Harry Greb, demonstrated his vicious body punching and willingness to fight toe-to-toe. It was Benny Leonard who advised Tunney that the only way to beat Harry "The Human Windmill" Greb was to aim his punches at Greb's body rather than his head. Always moving and boxing behind an excellent left jab, Tunney would study his opponents from the first bell. He generally preferred to stay outside and nullify any attacks, while using quick counters to keep the opponent off balance. In his fights against Jack Dempsey, today's viewer can see Tunney's style: hands held low for greater power, fast footwork that adjusts to every move his opponent makes and quick and accurate one-two style counter-punches with the left and right. Tunney was never knocked out, while only ever being knocked down once, that in his second fight with Dempsey in the infamous Long Count. This makes him one of only five Heavyweight champions, alongside Rocky Marciano, Riddick Bowe, Sultan Ibragimov and Nicolai Valuev to retire without ever suffering a stoppage defeat. Tunney, along with Marciano, Lewis and Vitali Klitschko is one of four heavyweight champions to have retired as champion and to have ended their career with a win in a world title fight. Having avenged his only defeat to Harry Greb, with whom he also drew), Tunney joins Ingemar Johansson, Rocky Marciano, Lennox Lewis and Riddick Bowe as the only five heavyweight champions to have retired while holding a victory over every opponent he faced as a professional (barring no-contests). In 1932, Tunney published a book called A Man Must Fight, in which he gave comments on his career and boxing techniques. Dean Martin and Jerry Lewis had a comedy routine in which Lewis (in boxing shorts and gear) states he's fight'n Gene Tierney (the actress). Martin corrects Lewis and suggests that he must mean "Gene Tunney." Lewis then quips "You fight who you wanna fight, I'm fight'n who I wanna fight, I'm fight'n Gene Tierney." In the song She Twists the Knife Again from Richard Thompson's 1985 album Across a Crowded Room, describing the mismatched intensity in a strife-ladened relationship, Thompson writes: "I'm in a fist fight/She thinks she's Gene Tunney!" He's also mentioned in Act 1 of Arthur Miller's Death of a Salesman: Willy tells his sons he has a punching bag with Tunney's signature on it. Mentioned in "A Whistle in the Dark" (Act 1, pg. 31) by Tom Murphy : 'in the words of the great Gene Tunney, a man must fight back. His father was a Mayoman too'. In the 1932 boxing film Winner Take All, James Cagney's character Jimmy Kane—a has-been former champion trying to get educated—laments that William Shakespeare was "the one who ruined Gene Tunney." Waterfront Park, Saint Petersburg, Florida, U.S.
Public Hall, Cleveland, Ohio, U.S.
Indoor Hockey Arena, Minneapolis, Minnesota, U.S.
Memorial Hall, Kansas City, Missouri, U.S.
Polo Grounds, New York City, New York, U.S.
Auditorium, Saint Paul, Minnesota, U.S. Coliseum Arena, New Orleans, Louisiana, U.S.
Southern AC, Memphis, Tennessee, U.S.
Cambria County Fairgrounds, Ebensburg, Pennsylvania, U.S.
Olympic Arena, Cleveland, Ohio, U.S.
Fairmont Arena, Columbus, Ohio, U.S.
Yankee Stadium, New York City, New York, U.S.
Legion Arena, West Palm Beach, Florida, U.S. Coliseum, Grand Rapids, Michigan, U.S.
Queensboro Stadium, New York City, New York, U.S.
Chicago Coliseum, Chicago, Illinois, U.S.
Fairgrounds Coliseum, Detroit, Michigan, U.S.
Commonwealth Sporting Club, New York City, New York, U.S.
Clermont Avenue Rink, New York City, New York, U.S.
Commercial AC, Boston, Massachusetts, U.S.
Shibe Park, Philadelphia, Pennsylvania, U.S.
Broad AC, Newark, New Jersey, U.S. Ocean Park Casino, Long Branch, New Jersey, U.S.
Rockaway Beach Arena, New York City, New York, U.S.
Motor Square Garden, Pittsburgh, Pennsylvania, U.S.
Armory, Grand Rapids, Michigan, U.S.
Ice Palace and Auditorium, Philadelphia, Pennsylvania, U.S.
Pioneer Sporting Club, New York City, New York, U.S.
Dyckman Oval, New York City, New York, U.S.
Sisco Park, New York City, New York, U.S.
Boyle's Thirty Acres, Jersey City, New Jersey, U.S.
4th Regiment Armory, Jersey City, New Jersey, U.S.
Olympia AC, Philadelphia, Pennsylvania, U.S.
6th Regiment Armory, Paterson, New Jersey, U.S.
Sportsman's Club, Camden, New Jersey, U.S.
Community Hall, Johnson City, New York, U.S.
1st Regiment Armory, Newark, New Jersey, U.S.
Grand View Auditorium, Jersey City, New Jersey, U.S.
Schuetzen Park, Bayonne, New Jersey, U.S.
New Polo AC, New York City, New York, U.S.
Miners 8th St Theater, New York City, New York, U.S.
Fairmont AC, New York City, New York, U.S.
Bowery Theatre, New York City, New York, U.S.
Sharkey AC, New York City, New York, U.S.
^ Morris, Edmund (2001). The Rise of Theodore Roosevely. New York: Random House. p. xvii. ISBN 9781400069651. ^ "Tunney was Lumberjack for Ottawa Company". The Globe. September 28, 1926. p. 9. ^ a b Foster, Shaun. "A Brief History of the Royal Marines Football Association". Royal Marines Football Association. Archived from the original on 2016-02-23. Retrieved 2017-03-14. ^ a b "The USMC Challenge Trophy (The Tunney Cup)". Royal Marines Football Association. Archived from the original on 2016-02-23. Retrieved 2017-03-14. ^ "Tunney, Boxing Champion Who Beat Dempsey, Dies. Lectured on Shakespeare". New York Times. November 8, 1978. Retrieved 2008-10-16. Gene Tunney, the former heavyweight boxing champion who twice defeated Jack Dempsey, died yesterday at the Greenwich Hospital in Connecticut. He was 80 years old and had been suffering from a circulation ailment. 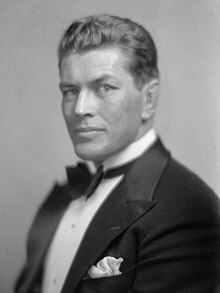 Wikimedia Commons has media related to Gene Tunney.